These high-quality outdoor varnishes from Holland are extremely user-friendly. Brushes can easily be cleaned with water and soap. Available in matte and gloss finishes. These can be used to protect garden objects that have not been made watertight or resistant to the elements. The varnishes can also be used in combination with Pavercolor in order to create a watertight paint. This technique is used to decorate objects by applying color emphasis, dry-brushing or adding patina effects. Do not use the extreme matte varnish on dark colors. 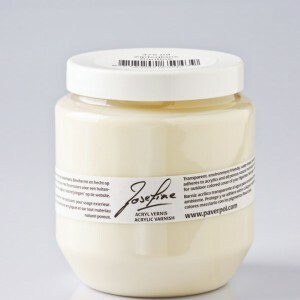 Available in jars of 100 ml. and 375 ml. 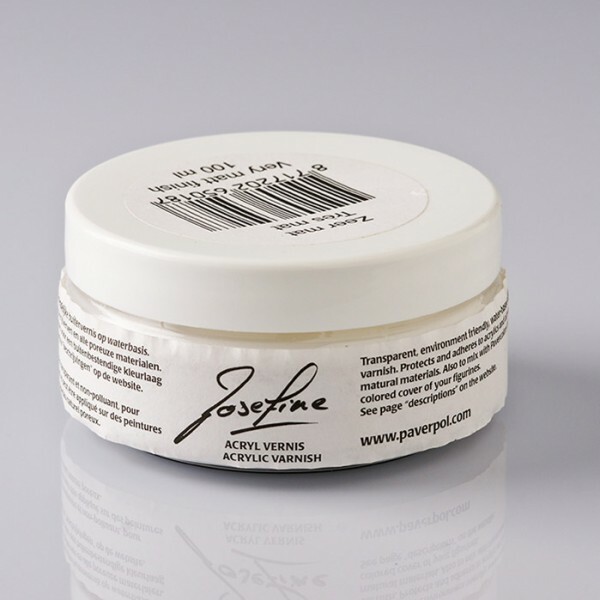 Be the first to review “Josefine Varnish Very Matte 100ml” Click here to cancel reply.